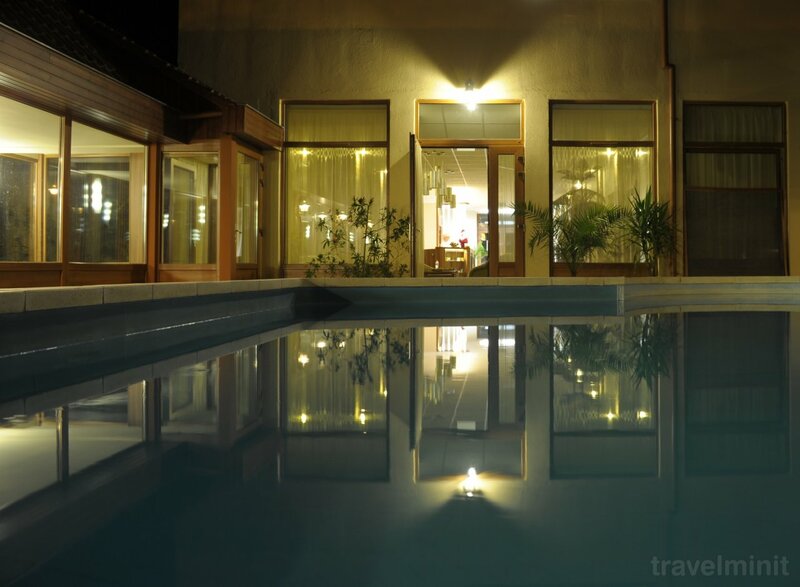 Valid in 19th of April - 22nd of April 2019. for minimum of 3 noghts stay. The rate does not include the tourist tax rate of HUF 450 / person / night over 18 years. Possibility to rent a bathrobe 700 Ft / person / laundry. - up to 3-14 years old on halfboard for half board 8.000 HUF / person / night. In case of reservation, a 100% deposit is required. The deposit payment deadline is 30 calendar days before arrival. We will send you a confirmation of your deposit to the specified e-mail address. We would like to invite our dear guests to make changes or cancellations only by e-mail at the latest 14 days prior to arrival. In the case of cancellation of the reservation, we will not be able to refund the deposit. It is valid 7th of June - 10th of July 2019 for min. 3 nights. It is valid between 17th of March - 14th of April 2019. The package can not be booked on weekends during special and festive periods. 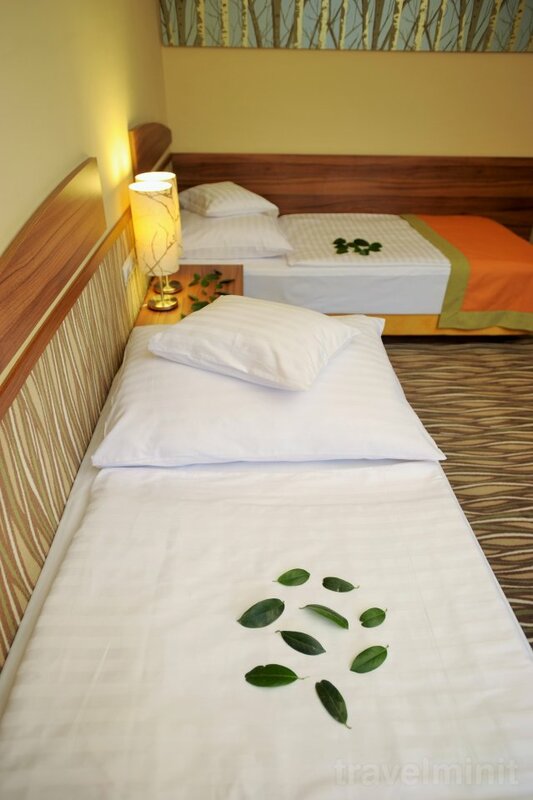 Discounts for children: 0-3 years free of charge (on cots), 3-14 years old on an extra bed with half board 5,000 HUF / person / night (even if no extra bed is required), 3-14 years old on halfboard with half board 7.000 HUF / person / night. The hotel reserves the right to provide half-board dinner in a non-buffet range depending on the number of guests (typically under 20 persons) in low season periods. The package is available until 13/06/2019. It is valid: 17th of March - 14th of June 2019. The package can not be booked in a special and festive period. Small animal: HUF 4.000 / night. The Guest assumes the responsibility for feeding, drinking bowl and bedding. It is valid between 17th of March - 14th of June. Tourist tax is payable separately 450 HUF / person / night (over 18 years). Small animal (up to 30 kg): 4,000 HUF / night. He takes responsibility for him, bringing him a feeding, drinking bowl and a lying spot. It is valid between 17th of March - 14th of June 2019. It is valid between 14th of June - 1st of September 2019. In case of reservation, a 50% deposit is required. The deposit payment deadline is 30 calendar days before arrival. We will send you a confirmation of your deposit to the specified e-mail address. We would like to invite our dear guests to make changes or cancellations only by e-mail at the latest 14 days prior to arrival. In case of reservation, a 50% deposit is required. The deposit payment deadline is 30 calendar days before arrival. We will send a confirmation of your deposit. We would like to invite our dear guests to make changes or cancellations only in writing, no later than the 14th day prior to arrival. Package is valid from the 19th of Oct. 2019 - 23rd of Oct. 2019. 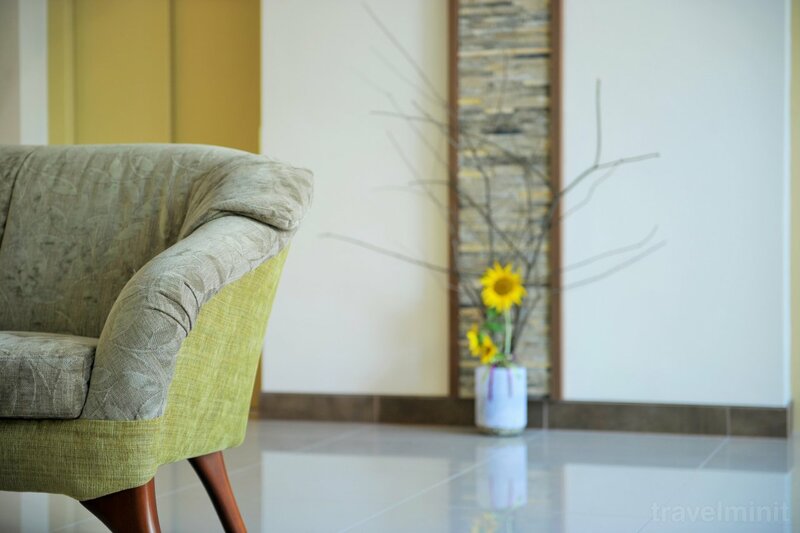 If the Guest waives or modifies his booking no later than 14 days prior to the arrival date, the total amount of the deposit will be available within 6 months after the cancellation for at least the same value. 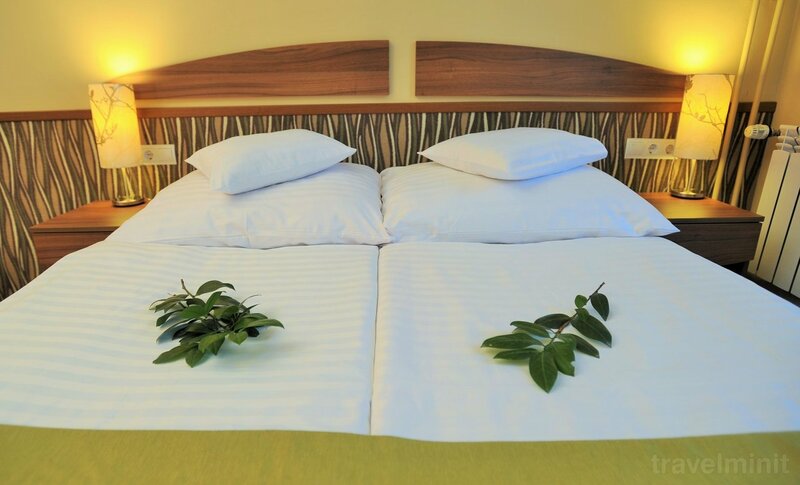 If the Guest sends a change or cancellation request to the hotel within 14 days of the arrival date stated in the confirmation or the Guest for no reason arrives to the hotel, the hotel will consider the paid deposit to be a liar, the guest will lose the deposit paid, will be repaid. The package is available until 24/10/2019. The package is valid between the 2nd of Sept. 2019 - 1st of November 2019. Payment is not required. Payment on site. 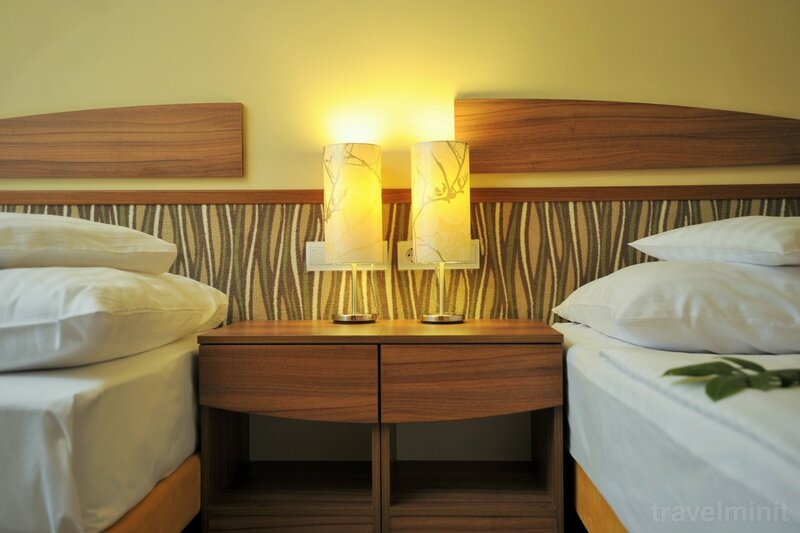 If a guest submits a change or cancellation request within 3 days of arrival in the confirmation or for no reason arrives at the hotel, a 50% penalty will be charged. The package is available until 01/11/2019. Up to 3-14 years old on a bed in bed with half board HUF 7,000 / person / night. Our hotel reserves the right to provide half-board dinner in a non-buffet range depending on the number of guests (typically under 20 persons) in lower occupancy periods. The package is available between 01/09/2019 and 01/11/2019. The package is available between 03/11/2019 and 22/12/2019. 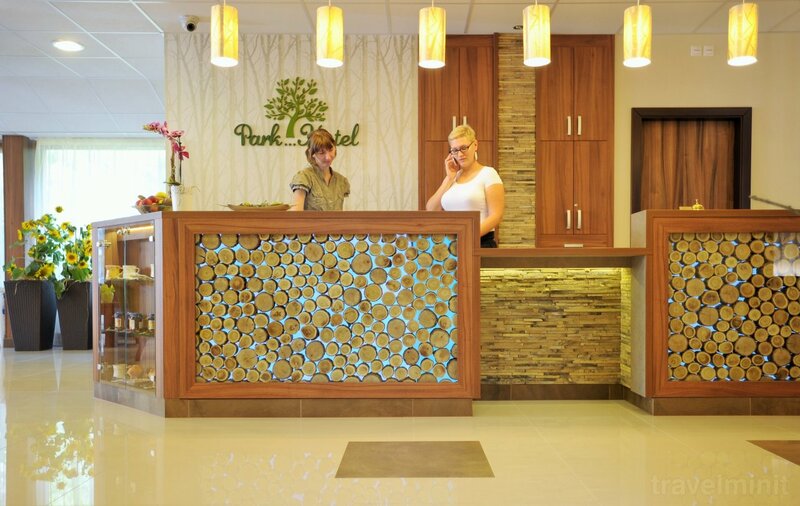 Park Hotel's answerKöszönjük értékelését,hozzászólását!Várjuk Önöket ismételten szállodánkba. Gyula is a city with mediterranean atmosphere and a lot of attraction. Outstanding sights of the city: Castle of Gyula is the only well preserved gothic brick castle situated on a plain surface in Central-Europe; Castle Bath in the park of Castle Almássy. 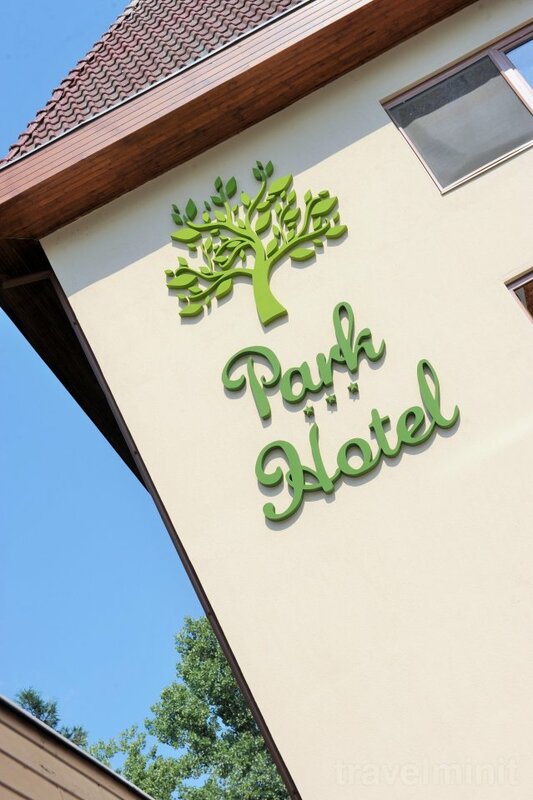 The fully renovated Park Hotel Gyula is situated in a scenic area in the middle of Csigakert (nature reserve), in front of the Castle Spa. 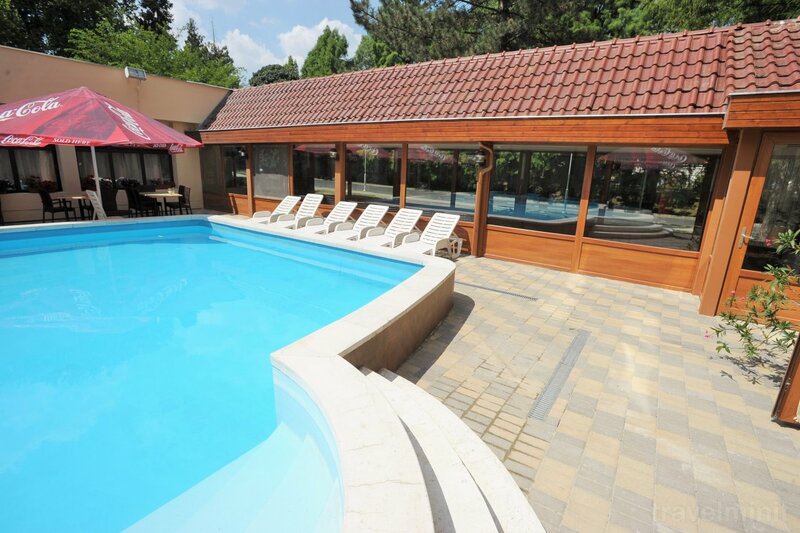 Our Hotel is waiting the guests with 58 nonsmoking rooms, with views to the Castle Spa or the Csigakert. 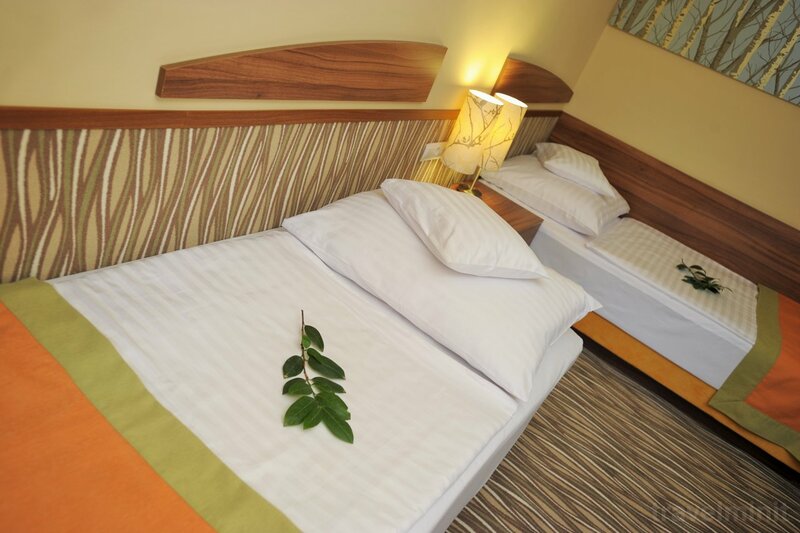 We have special rooms for familys - two rooms nearby connecting with a door, which provide perfect accomodation for 2 adults and 2 children. There are color TV, hair dryer, fridge in every room. 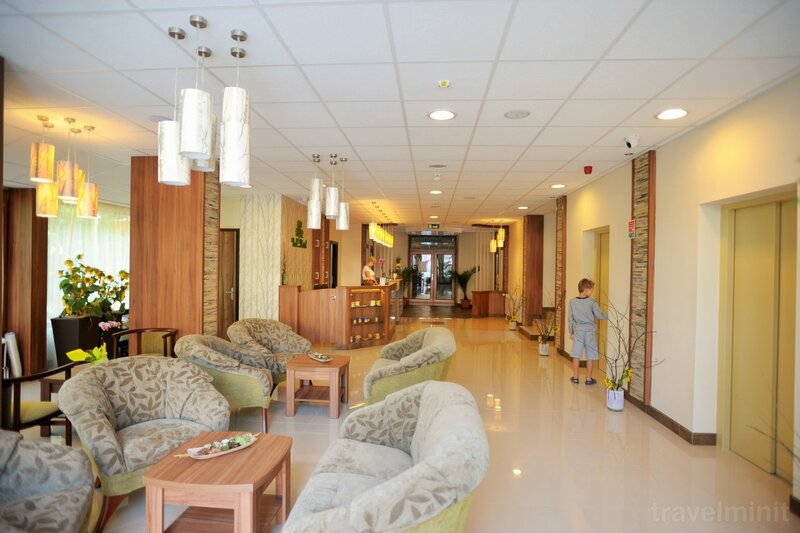 Services: free internet connection, safe service, free parking, elevator, outdoor swimming pool, bathrobe, wellness equipments, different massage machines. The Four Seasons Lobby & Bar satisfies the guest’s needs. 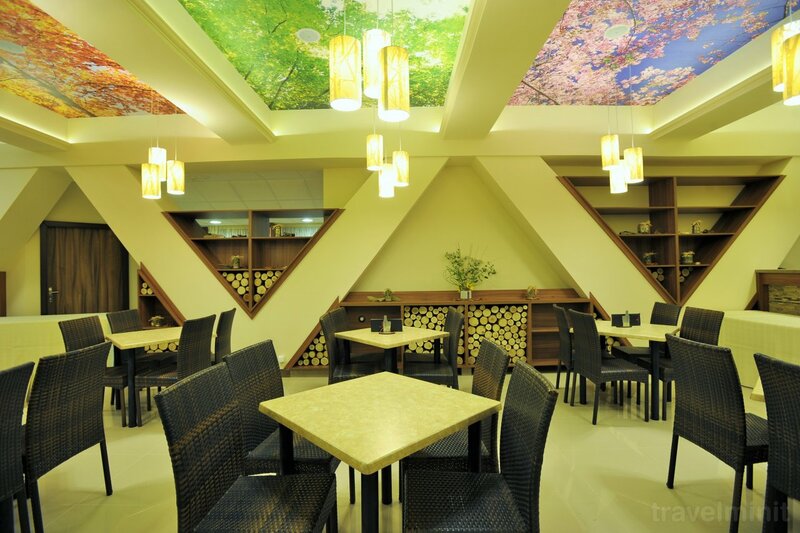 In the Hotel’s restaurant the guests can choose dishes according to their taste from our buffet supply. 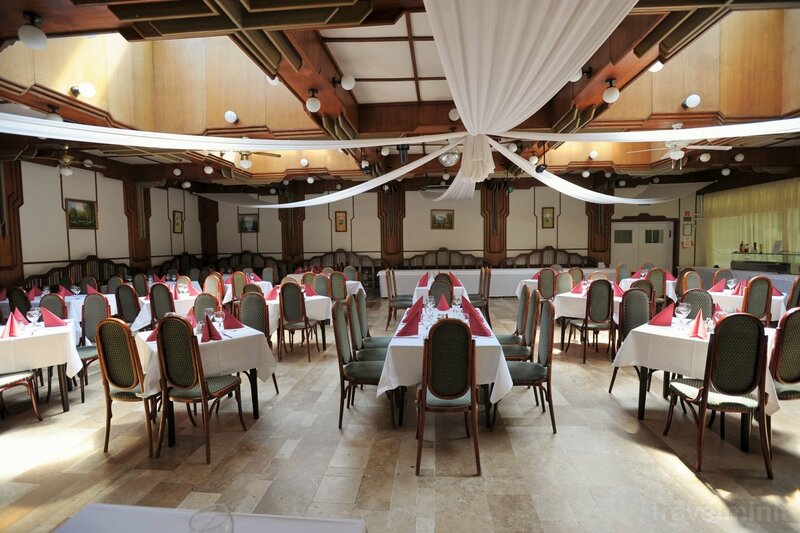 Our guests can taste hungarian dishes or international cuisine. 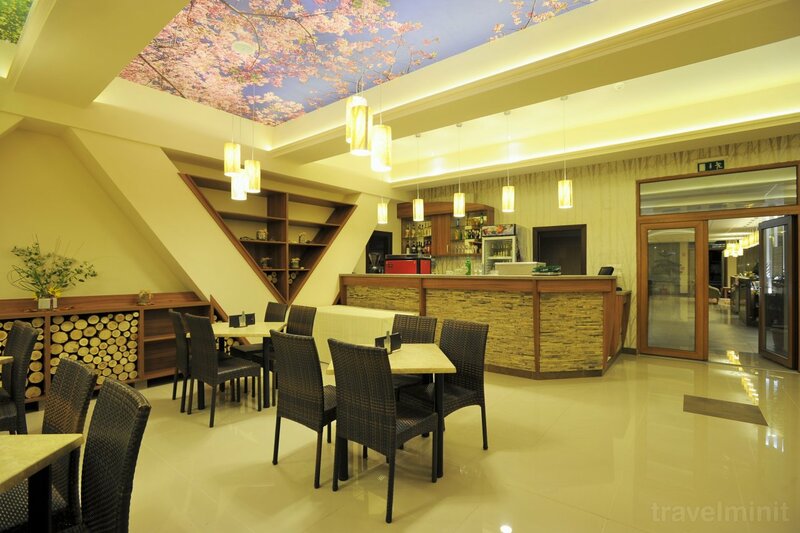 We can solve special requirements for example: vegetarian menu. We also take care of our guests who suffer from diabetes or all kind of food allergy for example egg,milk,flour. In summer the restaurant’s terrace is open, which has a pleasant athmosphere, and beautiful view to the park of the Castle of Earl Almássy. Our function rooms are perfect for various events. The conference room’s equipments is the following: flipchart, canvas for projector, podium, blackboard, internet connection. 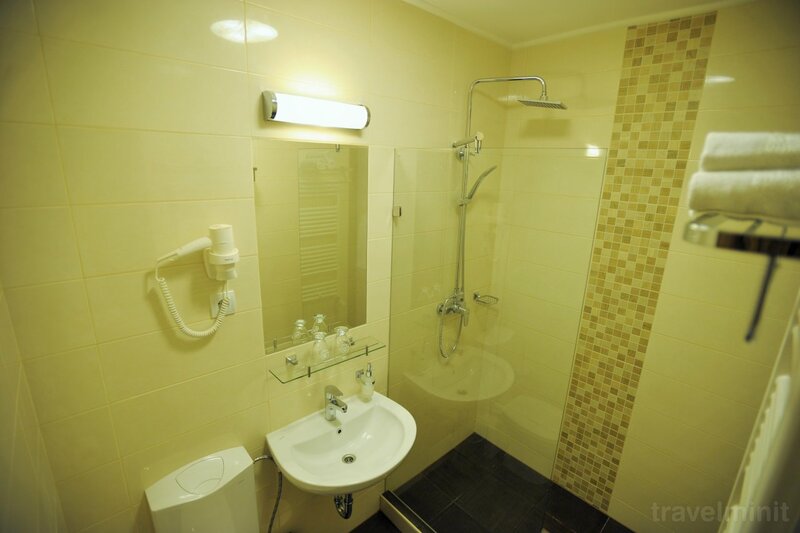 Facilities: Free internet; Garden, courtyard or green zone; 24-hour reception or key storage; Towels and linen change; Swimming pool; Air conditioner; Central heating; Elevator; Bathrobe; Fridge; Hair dryer; Parking; Samsung LED TV in the rooms. 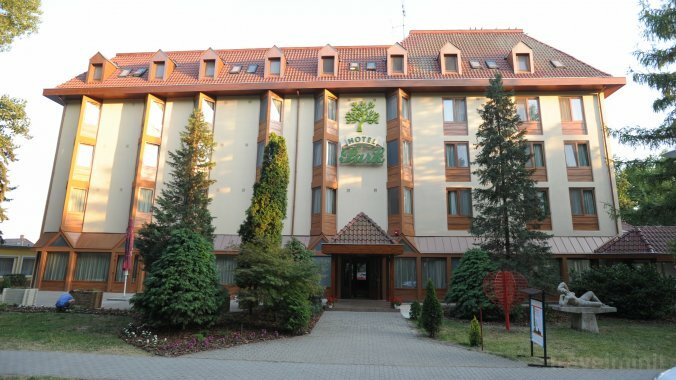 Best possible price confirmed by the owner of Park Hotel Gyula. We save you money and time. Book here! 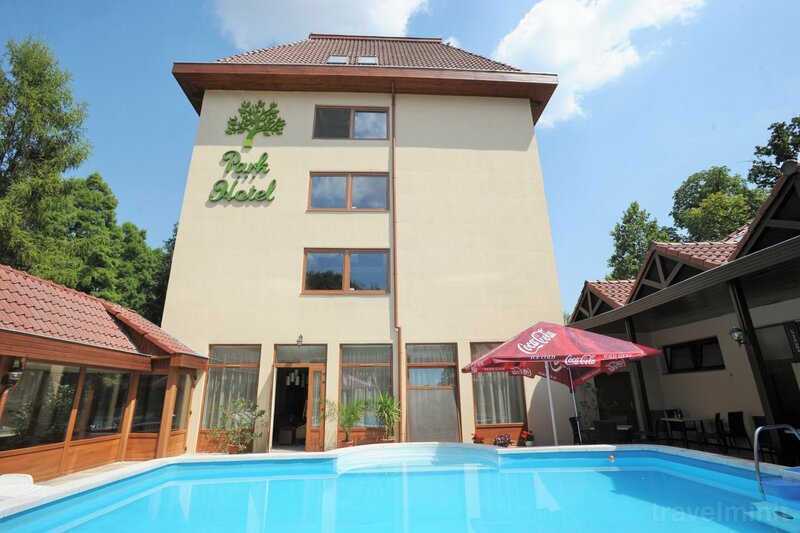 Book Park Hotel Gyula without booking desposit! Peace of mind with free cancellation. 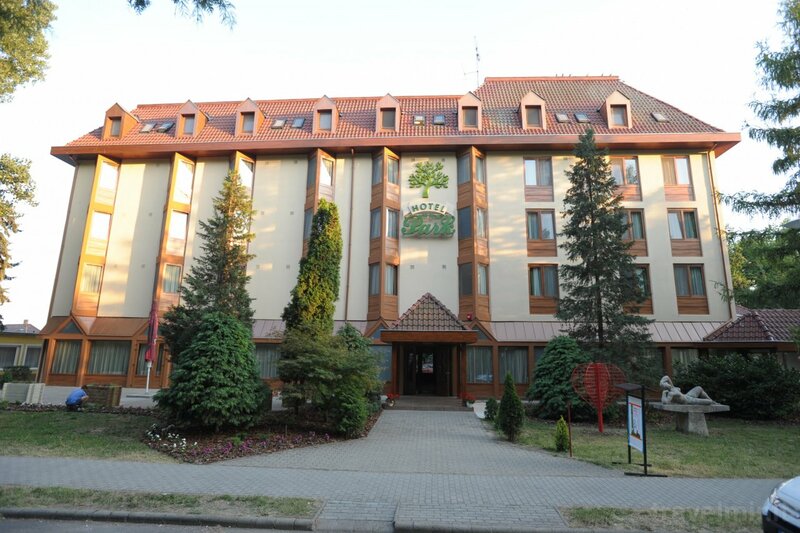 Your booking request is being answered direclty by the owner of the Park Hotel Gyula!